I started drawing when I was two, became a student of astrology at four, a creative writer when I learned to read, and I have been involved in creating communities and organizations since I was a teenager. I’ve gone to art school twice, earning a BFA in Graphic Design and MFA in Media Studies. I learned computer graphics in the mid-80s, becoming one of the first professional graphic designers to use the medium, and I learned website design in 1997 long before most of my colleagues. After taking the Landmark Forum in ’98 I re-engaged my fascination for mysticism resulting in two certifications in Attraction Coaching from Perfect Customers, Inc. Since then I have designed a completely out-of-the-box new paradigm for branding and marketing that literally transforms the lives and businesses of my perfect customers. To further my purpose, I create beautiful custom designs that project people’s heart-felt missions and attract an abundance of people to forward those missions. Whether it is a product or service or an organization that is out to transform the world, I help leaders and entrepreneurs to express themselves authentically and attractively through a variety of communications mediums. I began my graphic design career in New York where I received my BFA in Visual Communications. I worked in Manhattan creating designs for some very big-name clients such as the Museum of Modern Art, Carnegie Hall, Burger King, Cunard Queen Elizabeth II, and Margaret Meade’s Terrytown News. What I learned in NY about marketing didn’t please me at all, especially the brainwashing and hype. So I escaped from New York to the flatlands of Illinois to learn all about Multi-Media and subsequently receive get my Masters of Fine Arts (MFA) in Media Studies. I was experimenting with early computer graphics along with film, video, electronic sound and performace to communicate an idea. I also worked for the Center for Governmental Studies at Northern Illinois University and created award-winning designs for the State of Illinois, along with a lot of non-profits and private causes. After I graduated with my MFA, I drove west to my new California home where I founded Graphic Girlz in 1995. I have been specializing in branding, logo and graphic design, website design and social media marketing for people who are up to big things, including popular raw-food chain Cafe Gratitude, activist Julia Butterfly Hill, Birkenstock Shoes, Andronicos Market, Spenser Energy green energy consultants, and Best-Selling Author Iyanla Vanzant. After following my passion for the Mystical Arts for over 20 years, in 2006 I received a certification in Strategic Attraction CoachingTM and started teaching conscious entrepreneurs how to attract perfect customers using the Attraction Plan created by Jan Stringer and Perfect Customers, Inc. I also learned how to imbue my designs with the power of the Law of Attraction. I teach others the Strategic Attraction PlanTM and how to integrate it into their marketing. In 2011 I created the Magical Marketing brand family to reflect our focus on principles of Attraction, Authenticity, Intuition, Transformation, Freedom and Fulfillment. 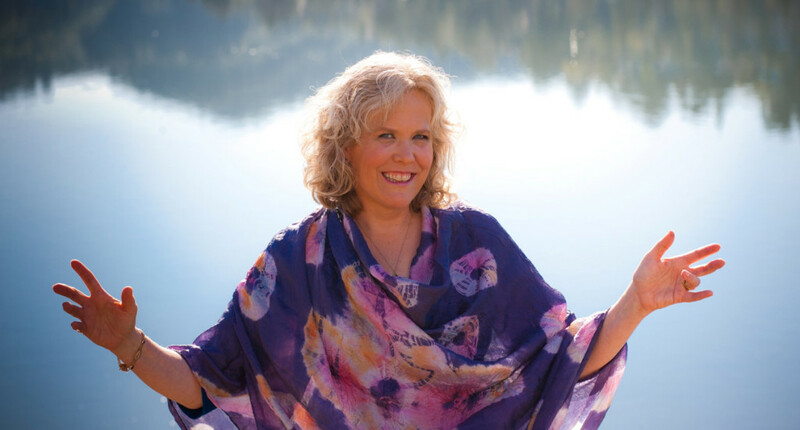 Since then I have helped thousands of out-of-the-box creatives, healers, mystics, coaches, consultants and change-makers to attract their Soul Tribe online authentically. If you are ready to uplevel your brand and website, feel free to connect with me by applying for a Magical Strategy Session. We will meet privately to discuss your purpose, your goals, and review your marketing together, resulting in a mini-plan you can implement with Magical Marketing or another service of your choice. No obligation. APPLY HERE.